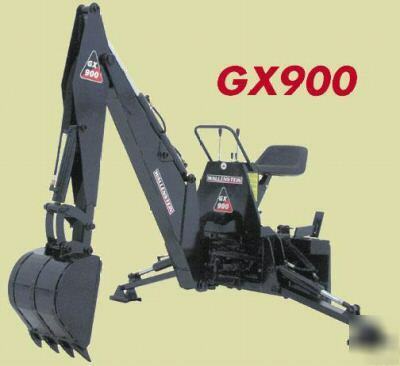 Brand New Wallenstein Model GX900 3-Point Mounted Backhoe. This is a Great Backhoe for 45-100 HP Tractors. * Price includes Catagory 1 or 2, 3-point hitch mountings, a 12" wide bucket & hydraulic hoses, it is complete & ready to use!